Want to make your own Fabric Softener Crystals? Do it yourself for a fraction of the cost! Store bought Fabric Softener Crystals are so expensive, even with coupons! I love the long lasting fragrance of crystals, but I don’t usually buy them because they’re not practical or affordable. I started making my own Fabric Softener Crystals, and I personally like it more than the store bought kind! It’s super easy to make, and it will last a long time! Mix the Epsom Salt and Essential Oil together thoroughly. Store in a airtight container. Add 1/4 Cup of Fabric Softener Crystal mix per load to the beginning of wash cycle. Do you love air freshener, but hate the high prices? You can make your own inexpensively with all natural ingredients, and without all the harmful chemicals! All you need is an empty mason jar, essential oil, and baking soda! You can order Lavender Essential Oil HERE. How easy was that? You can paint your jar, or add a pretty ribbon. Put the jar wherever you want a fresh fragrance. I like to put mine in the bathroom. Just shake the jar when you need extra air freshening. When the fragrance fades, usually within a month, add more drops of essential oil. Replace baking soda, and clean jar every 2 months. Are you looking to make a homemade, non toxic, environmentally friendly All Purpose Cleaner? Check out this super easy recipe. It’s made with 4 simple ingredients, and cleans the kitchen, bathroom, or whatever else needs cleaning. It’s very inexpensive to make with ingredients you probably already have in your pantry! 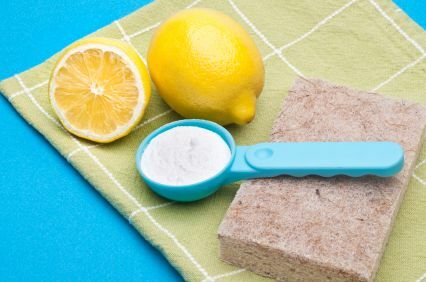 This homemade all purpose cleaner tackles tough jobs better than cleaners that you buy at the store! In a medium mixing bowl, combine vinegar, baking baking soda and hot water. Squeeze in the juice from half a lemon then drop the rind in as well to infuse the cleaner. Stir thoroughly until baking soda is dissolved. Let cool. Once it’s cool, remove the lemon rind. Pour into a clean spray bottle, and label the bottle. Tip: Instead of discarding the lemon rind, cut it in medium pieces, and put in garbage disposal. 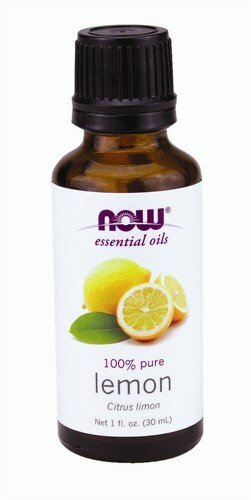 This freshens the disposal, and makes your kitchen smell lemony fresh. Well it’s Summer, and that means annoying insects flying on you, and mosquitoes biting you! I’m always sceptical to use store bought insecticides because they have a lot of chemicals, and aren’t good for sensitive skin. I have a great recipe that you make with household ingredients for All Natural Homemade Insect Repellent. This is super easy to make, and it really works! I made this, went outside at night, and not one mosquito landed on me. Plus, it didn’t bother my sensitive skin. It also smells great! Pour Mixture into an empty spray bottle. Shake well before using. Apply generously to skin before going outdoors. Remember to label the bottle before storing it. Add-on Items ship with orders that contain $25.00 of items shipped by Amazon. Are you tired of the high prices for laundry detergent? Try this homemade recipe, and save a lot of money! This makes 150 loads! I’ve included prices for Walmart with the links to Walmart’s website. The total Cost for 150 loads is only $13.42! Only 2 Tablespoons are needed per load. Grind or shred 3 bars of Ivory soap. You can use a food processor to grind the soap. If you don’t have a food processor, you can use a cheese shredder. Mix all of the ingredients together, and stir well. Store in a large air tight container. Use just 2 Tablespoons per load. This will last a long time, and is much cheaper than store bought detergents, and makes 150 loads. If you have a front load washer, don’t add the powder to the small tray. The small tray is is meant for liquid detergent. if you add powder to it, you will clog your washing machine. Just add the 2 Tablespoons to the bottom of your washing machine, and add your clothes. Here’s another inexpensive trick. Add 1/4 Cup Vinegar to rinse cycle in place of fabric softener. This will not make your clothes smell like vinegar. They will be soft. If you’re looking to make an easy environmentally friendly homemade liquid dish soap, I have an easy and inexpensive recipe for you. You may also use 1 tablespoon of Arm&Hammer’s Super Washing Soda (optional to thicken soap) Order HERE. Mix all the above ingredients together in an empty dish soap bottle. That’s it! Looking to save money on deep hair conditioners? Try these out for a fraction of the cost! Shampoo hair and towel dry. 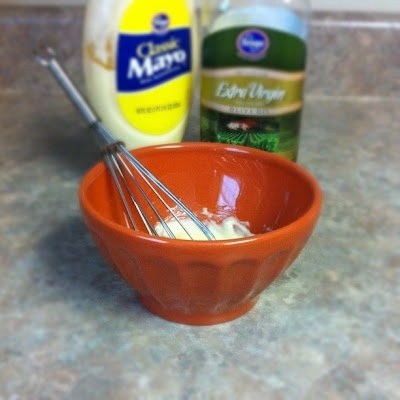 Mix room temperature mayonnaise and olive oil, apply to your hair, focusing on the ends. Leave on hair for 10-15 minutes, shampoo again and rinse with 1/2 cup of apple cider vinegar to remove mayo smell in your hair. Mix water and oil with a whisk. Allow to cool just until it’s warm. Massage mixture into the scalp and hair. Wrap hair in a plastic shower cap for 15 minutes. Shampoo & rinse. Combine all ingredients except flour in a bowl. Microwave the ingredients for 30-40 seconds until hot. Blend 1 tablespoon of unbleached flour to make a paste. Apply the warm mixture to damp hair, and leave on for 20 minutes. Shampoo and rinse hair. Here is a great recipe for Homemade Carpet Shampoo. It works great as a pre treater, and in a carpet cleaner machine. Try it for yourself, you’ll never go back to store bought carpet cleaners again! Mix together all the above ingredients in a clean, empty half gallon or gallon milk jug. Blend with 1 1/2 quarts of hot water. Put in carpet cleaner machine. 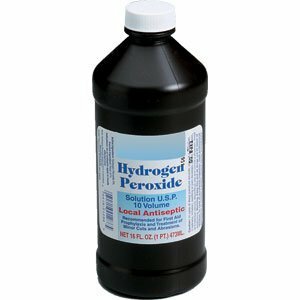 This is also good for stains to pre-treat. Save money with this homemade Window Cleaner. It is very easy to make, and inexpensive. Combine all above ingredients in the empty spray bottle, and mix. Tired of spending money on expensive fabric softener? Try this easy recipe for homemade fabric softener at home. I used the cheap Suave Green Apple Conditioner, and it makes my clothes smell so fresh! I prefer this homemade version over the store bought fabric softener. It only takes about 5 minutes to make and lasts for a month or more. It is the time of year when fruit flies are everywhere! I had a bowl of fruit on the table, and there was a swarm of fruit flies! I use this inexpensive and environmentally friendly recipe that effectively gets rid of those annoying fruit flies. Pour the Apple Cider Vinegar into the small jar or cup. Add the Dish Soap. Do not stir the dish soap. Place the container where fruit flies are seen the most. Fruit flies are attracted to the smell of the vinegar, and will try to land on the vinegar cup surface. The dish soap breaks the surface tension of the vinegar, and the fruit flies fall in. Try it for yourself, it works like a charm!